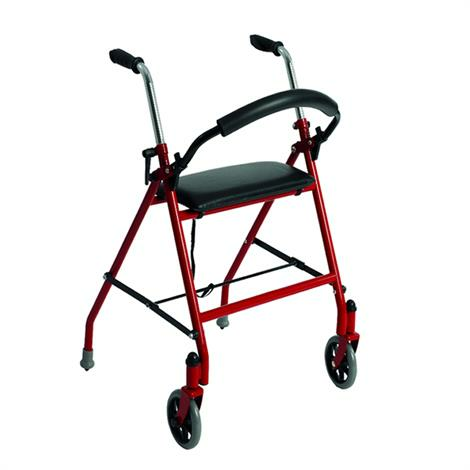 Drive Two Wheeled Walker with Seat features comfortable, convenient padded seat and backrest. Walker with Seat quickly folds when not in use and rear leg tips act as brakes when pressed down. Large swivel wheels for added maneuverability and contoured handles for a comfortable grip. 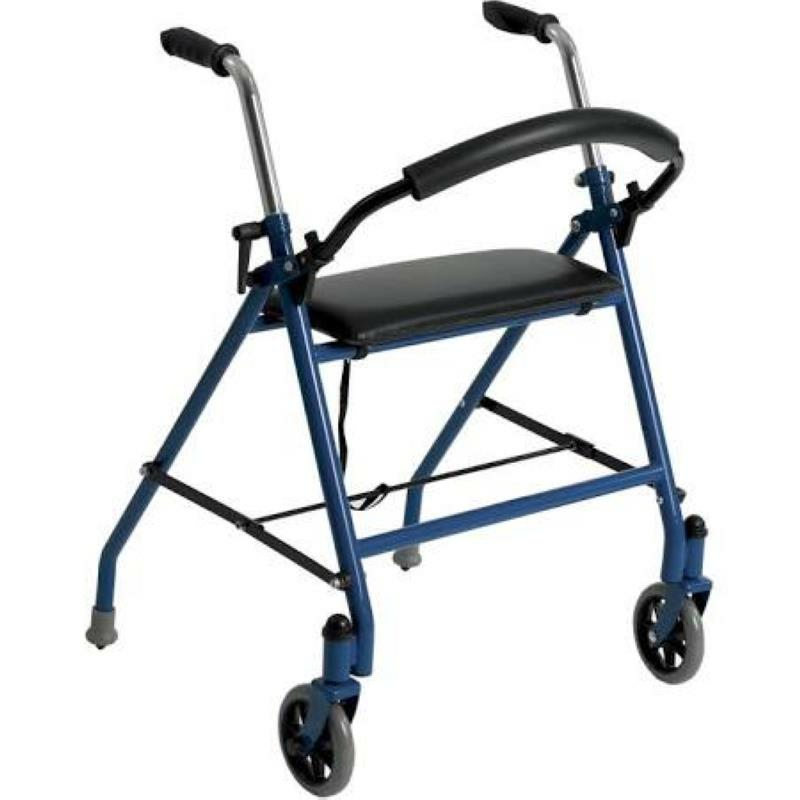 - backrest, handle with the tube, Rollator frame and handle adjustment knobs. Open frame and slide padded backrest into frame brackets making sure snap bottoms protrude through holes. Insert handle tube into the frame. Set handle to desired height. Tighten knob by turning clockwise until handle is securely in place. Make sure both handles are set to the same height before use. Please make sure the Rollator is fully opened, the seat is down and the folding bar under the seat is locked in the down position. Be sure that both knobs are fully tightened and are at equal heights. Test Rollator for stability before applying full weight to hand grips. Replace tires when significantly worn or damaged. - Do not have anyone push you while you are seated on the Rollator. - This is a walking aid only and is not to be used as a transportation device. To stop Rollator apply weight downward on handlebars. This will engage tips and bring the Rollator to a stop. Handle Height 29" - 38"